With Sony and EA already announcing that they will not hold a traditional press conference at E3 2019 like they have in previous years, it feels like only a matter of time before other major players come out and follow suit. However, one particular industry giant has made it known that they won’t be following in those footsteps this year. Bethesda Softworks took to twitter to officially announce that they will be hosting a showcase and conference at E3 2019. They also provided the date and time that fans can expect to see what’s next. When is Bethesda's E3 2019 conference? Bethesda’s E3 conference, titled BE3, will be held on Sunday June 9 at 5:30 PM PT. This follows the company’s trend we’ve seen in recent years of holding their conference the Sunday evening ahead of E3. Getting all of their major reveals out there so that fans can go hands on and get a better look at new titles once the show floor opens. The social media post also confirms that the event will once again be live streamed on YouTube, Mixer, Twitch, and Facebook Live for all to enjoy. More details on registration for attendance and the event itself to come later. The artwork for this year’s BE3 showcase sees a cast of characters looking up at the stars. Some familiar faces can be made out of the bunch, such as DOOM Guy himself and a dragon from Skyrim. 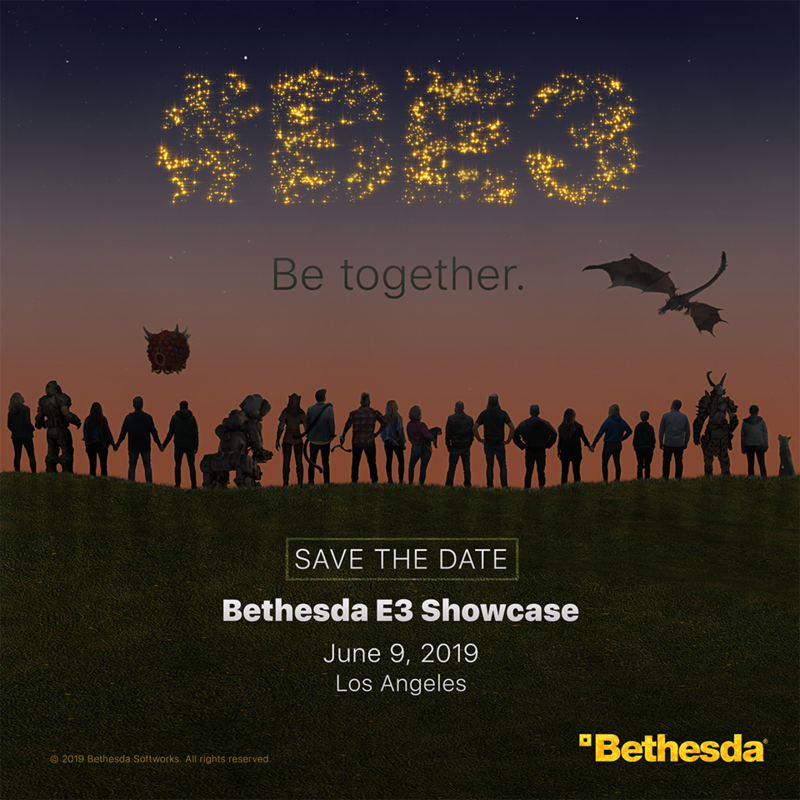 The poster also sports the tagline “Be Together.” This is a nod to Bethesda Softworks’ plan to invite a larger number of people to attend the show this year. 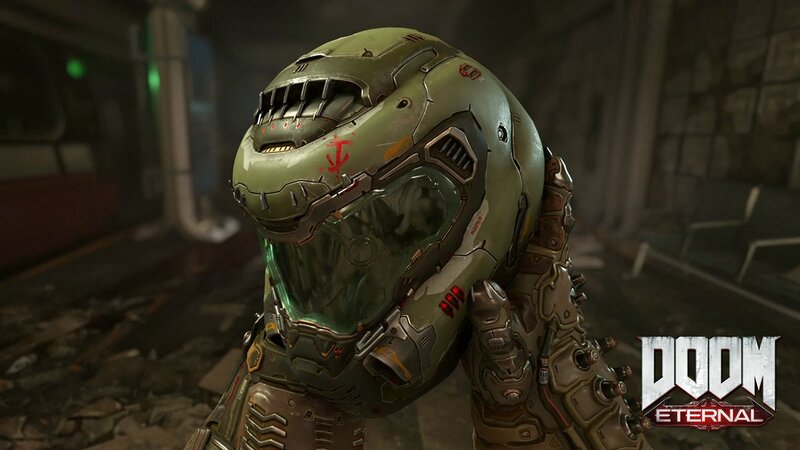 Other than Doom Eternal, Nothing has been confirmed but we expect to see more of Rage 2, an update on Fallout 76, and hopefully a handful of surprises. What are you hoping to see at Bethesda’s E3 2019 conference? Sound off in the Chatty. Hopefully giants like Bethesda and Microsoft can keep e3 going. A lot of people really enjoy having that festival of gaming announcements every year.